Illustration for the cover of The Wall Street Journal ‘Off Duty’ section. For The Economist Christmas 2018 issue. For Indianapolis Monthly accompanying an excerpt from Philip Gulley’s new book ‘Unlearning God’. Illustration for an exhibit about the history of car racing at Silverstone. Artwork work for UK band Cosmic Strip's first single Insomnia, 2016. For Capital Magazine, an article about a worldwide scam of diet pills. For the Creative Review Annual 2018, accompanying a piece about screen addiction by Hannah Ellis. 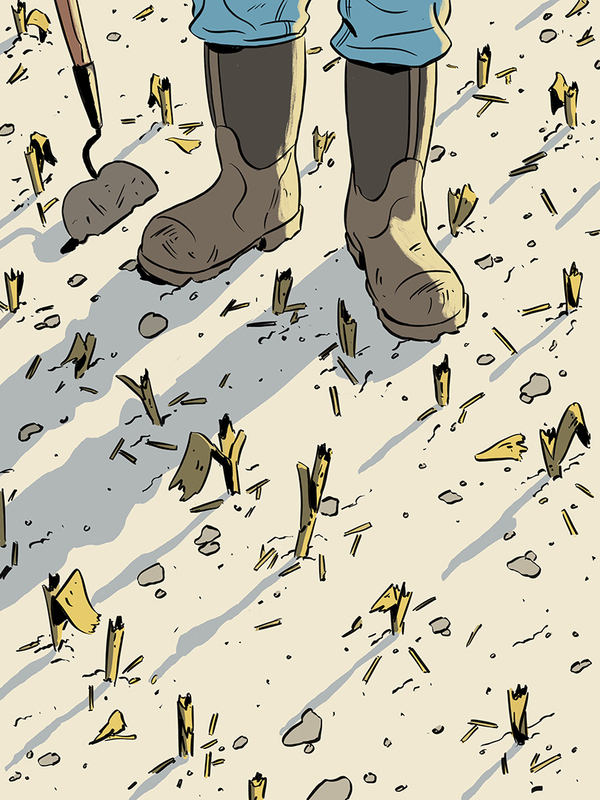 For Politico Europe about the effects of soil erosion. A birthday themed gift card for Nordstrom. Illustrations for an animation at the RAF Museum in London.